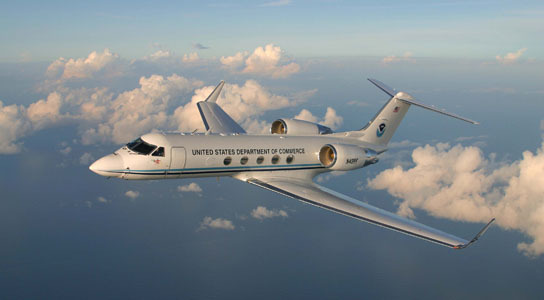 Acquired in 1996 and typically used for studying hurricanes, the Gulfstream IV-SP (G-IV) operated by NOAA will have a new mission for the next two months. This highly specialized NOAA jet will be gathering data as it travels over the North Pacific Ocean to help meteorologists better predict winter storms over the North American continent. Be the first to comment on "NOAA Gulfstream IV-SP Aircraft to Boost North American Weather Forecasting"